ESPN is encouraging fans to help support cancer research during its V Week for Cancer Research. 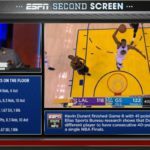 Starting on Giving Tuesday, November 27 and running through December 8, ESPN will host a drive for awareness and funds across their platforms. For a 12th consecutive year, ESPN’s V Week for Cancer Research will drive awareness and funds for the V Foundation for Cancer Research across ESPN platforms. 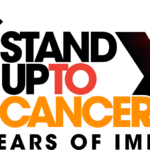 Beginning on November 27, and running through December 8 ESPN will host this special drive with all proceeds going directly to cancer research and related programs. Last year, V Week raised a record $4.5 million, bringing the 11-year total of contributions to more than $22.2 million. ESPN commentator and professional athletes are putting their “kicks” to good use by reaching into their extensive shoe collections and donating a signed pair to be auctioned off in support of the V Foundation. The two-day initiative celebrating Sager’s love of life and outrageous fashion will be featured on the NBA doubleheader, Rockets at Spurs (Friday, November 30 at 8 pm ET) and Nuggets at Blazers (Friday, November 30 at 10:30 pm). 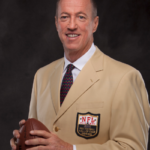 In addition, two of Sager’s own game-worn jackets will be up for auction. 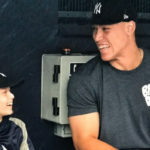 Sports fans love their dogs, and ESPN hopes to harness that passion by teaming up with WeRateDogs to drive awareness to the V Foundation’s canine comparative oncology initiative and highlight dogs who are currently fighting cancer. WeRateDogs has created custom merchandise with the slogan “h*ck cancer” and will donate 100% of net proceeds from these sales to the V Foundation. 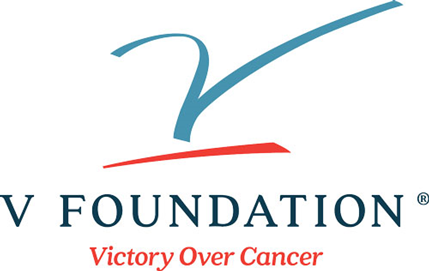 The V Foundation for Cancer Research is dedicated to declaring victory over cancer. ESPN and the late Jim Valvano, legendary North Carolina State basketball coach and ESPN commentator, founded it in 1993. The Foundation has funded more than $225 million in cancer research grants nationwide. It awards 100 percent of all direct cash donations to cancer research and related programs. Due to generous donors, the Foundation has an endowment that covers administrative expenses. The Foundation awards peer-reviewed grants through a competitive awards process vetted by a Scientific Advisory Committee. For more information on the V Foundation, please visit www.jimmyv.org.